Product #5547 | SKU GMP-112 | 0.0 (no ratings yet) Thanks for your rating! 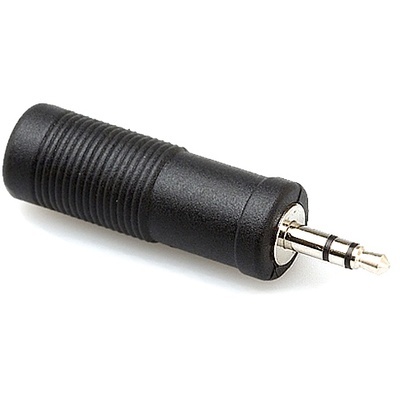 The Hosa GMP112 Male 3.5 mm to Female 1/4'' Adapter. Connector 2:	Female Stereo 1/4"